Good morning! Thanks for stopping by today. 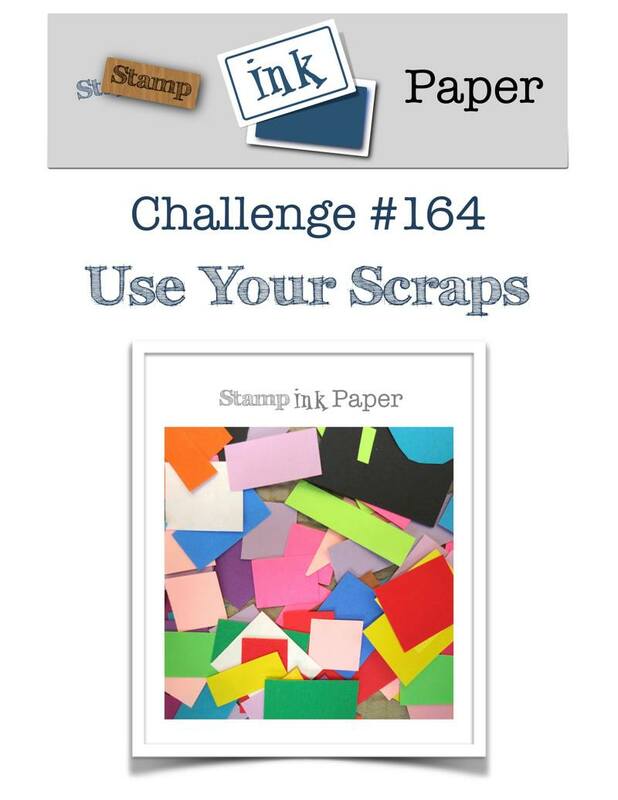 Today is my design team card for the Stamp, Ink, Paper “Use Your Scraps” challenge. I’ve been chopping up a lot of paper the past couple of weeks, so this was a perfect challenge for me. Make sure to stop by the Stamp, Ink, Paper blog and check out the design team inspiration. And we’d love to see what you make with your scraps, so please join in the challenge this week! So basically the only thing on this card that isn’t a scrap is my card base, LOL. The card base is Real Red, and before I glued everything down, I stamped the little wreath from Making Christmas Bright on the card base, also in Real Red ink. The three designer series paper scraps are all from the All Is Bright paper, coming September 5th in the Holiday Catalog. This paper is fantastic. Look at those ornaments! Sigh. 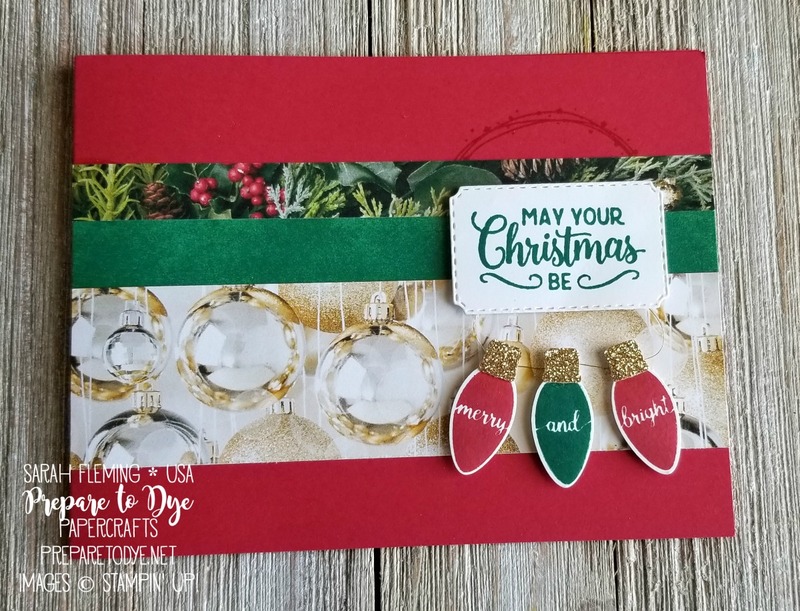 The “May Your Christmas Be” is stamped in Shaded Spruce on a scrap of Whisper White and cut out with a stitched label die from the Farmhouse framelits (coming September 5). 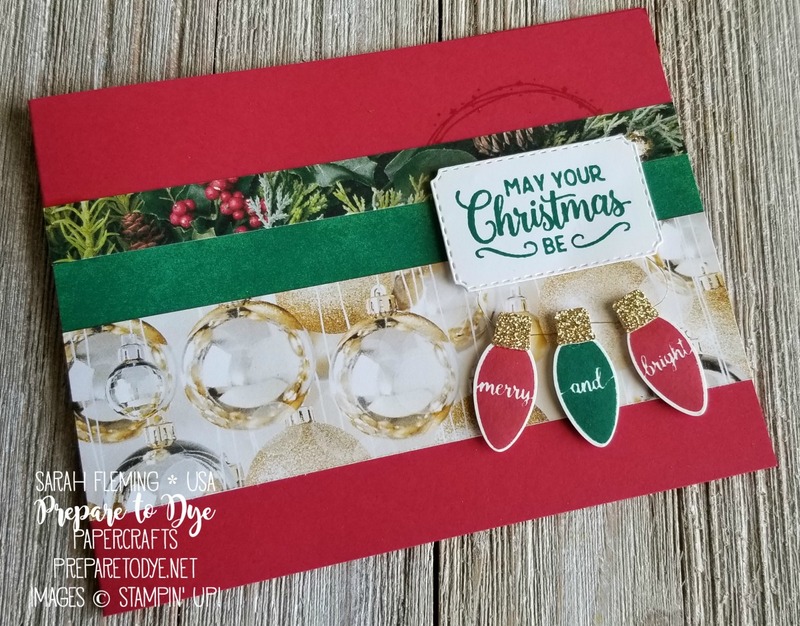 The “merry and bright” light bulbs are stamped in Real Red and Shaded Spruce on scraps of Whisper White and punched out with the new Christmas Bulb Builder Punch. I also punched the little light bulb tops out of Gold Glimmer paper. A single thread of Gold Metallic Thread connects the bulbs.